While the church is a bit fussy about music in Advent, I confess to being obsessed with the “mall muzak” of the holiday season. I loved to sing — though Sister Inez Patricia kicked me out of the Glee Club for belting out Joy to the World off key. And with my piano teacher, Mrs. Wertz, I cajoled her into letting me work on Christmas carols the year round. And I have a vague memory of actually gathering a sibling and likely my grandmother (who would humor this child) “round the spinet” a time or two. But this second Sunday of Advent, I think we are safe. “All things in moderation,” my dad used to say. Each of them is a cacophony of voices, crying out in the wilderness – a way to tune into Jesus in the manger once again. A way to tune into the crazy Second Coming of God. So what have you got on that iPod of yours? What have you got on Spotify? As a spiritual exercise, why not put together your own “Messiah” playlist: whether it be Handel, Bing Crosby, Mary Chapin Carpenter, Prince, the Anonymous Four, Gregorian chant, or the Mormon Tabernacle Choir. My own which I, so creatively labeled: Christmas, Christmas, Christmas 🙂 shuffles over 200 carols in the privacy of my car (or my living room.) Where I can sing along – lustily and with abandon – which I recommend most highly! Lift it up and do not fear. For here comes our God. Categories: Spirituality and Mental Health | Tags: Advent, Christmas Carols, Comfort Ye My People, Psalm 85, Second Isaiah, Singing | Permalink. 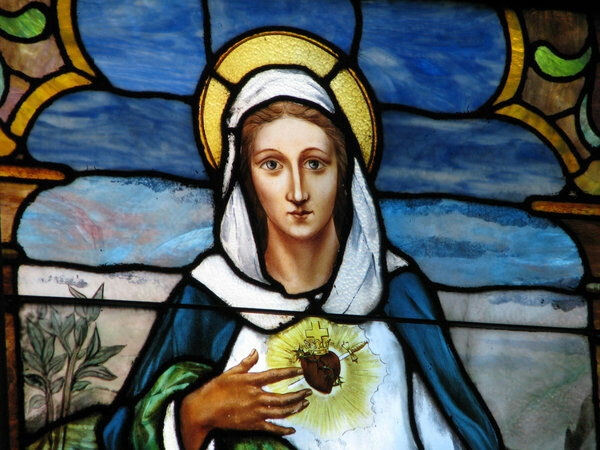 The Solemnity of Mary, the Mother of God. There is no sexier color in the Crayola Crayon box than Blessed Mother blue. That is, of course, if you are a little Catholic girl. And it’s Advent. Please, Baby Jesus, bless me with Blessed Mother Blue! Now Mary (quite impossibly!) is very, very much what every little Catholic girl wants to be when she grows up. Well maybe not when she grows up, but what every little Catholic girl wants to be in the Christmas pageant. Damn, Mary is what every Protestant little girl wants to be in the Christmas pageant! 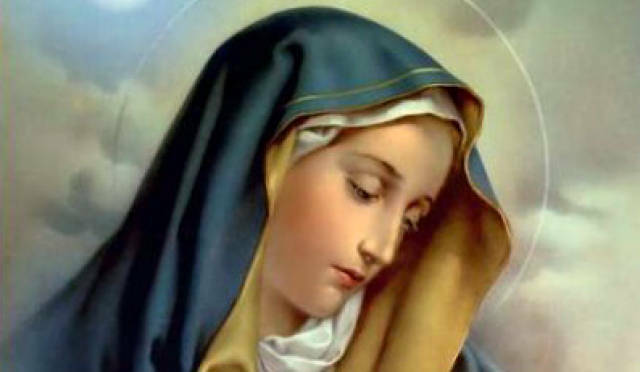 Drape me, Baby Jesus, in Blessed Mother blue. Alas, it did not come to pass until Advent 1983. Pregnant with my second child and obviously not a virgin, at long last I had snagged the part of the BVM. Not quite as embarrassing as liturgical dance, I starred in a three part liturgical drama: PREGNANT WITH GOD. Advent Three. Heavy. Swollen. Sleepless. Bursting with life. I burst into the Magnificat. It was the 80’s. And I wore Blessed Mother blue. Now, blue is also the color of a mood. Possibly a million times in a millennia or two, possibly a million artists have depicted the Madonna and Child. Beatific Mary with the fat, little, haloed, baby Jesus in her lap. And in every painting, in every icon, in every stained glass window, as beautiful as she may be, she is the Mater Dolorosa, our Lady of Perpetual Sorrows. Advent is the Blue season, a season of darkness and light. At first light today it was dark, 6:30 am dark. The sun went down today at 4:54 pm. I got up in the dark. I drove home in the dark. And in between, the sky was gray all day outside my window. And the days are getting shorter. Yes, shorter. Is it any wonder, as the holiday looms why you may be feeling so BLUE, so deep, dark, inky, indigo BLUE. Since God created the night, God’s people have prayed for the return of the light. That’s why long before there ever was a Christmas there was the Winter Solstice. The Stone Age people who built Stonehenge knew all about it. The Neolithic people who built Newgrange knew all about it. The deepest, darkest day of the year, is the day the light returns. December 21st. On December 21st, my church Emmanuel on High, is having a Comfort service, a Christmas Comfort Service. And the service begins with a song — a song by Mary Chapin Carpenter who clinically knows exactly what it’s like to really sing the blues. Sunday, December 21st, 5:00 pm. Categories: Spirituality and Mental Health | Tags: Advent, bipolar disorder, Blessed Virgin Mary, Emmanuel on High, Mary Chapin Carpenter, mental health, Seasonal Affective Disorder, Winter Solstice | Permalink.